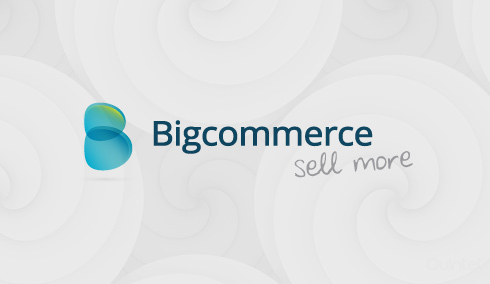 BigCommerce is a leading PHP based shopping cart software provider, for e-commerce web applications. It is one of the top rated e-commerce providers in the world. Unlike shopping cart sites providing different types of hosting methods, Bigcommerce is a web hosted shopping cart, where the shopping cart sites are hosted on BigCommerce servers. Other types of hosting methods are also supported based on license agreements. The Restful bigcommerce api basically allows to access and make changes to your online store. Quintet offers bigcommerce api integration service which makes managing the store easy as pie. BigCommerce supports different apps with their service. Anyone can develop a new app and submit to bigcommerce app store for review. Our team’s expert’s are capable of creating bigcommerce apps as per your requirement. We have experts in payment gateway integration and their APIs for B2B and B2C. In the current market a business cannot exist without options to receive payments. Our team can integrate your cart with multiple payment gateways which will certainly help your products/services reach around the globe. BigCommerce has built-in marketing feature tools like coupon codes, discounts, newsletters, social media integration, promotions and other sales related services. Our team can help you use these features to bring more sales. The website owner or online marketer can easy way to earn money through bigcommerce affiliate referral program. Quintet’s professionally qualified designers offer unique and responsive bigcommerce design templates to suit your online store. Quintet has extensive experience in handling e-commerce solutions including OsCommerce. Our designers can design and deliver custom templates as per requirement, no matter how complex it may be. OsCommerce is completely free and opensource PHP e-commerce framework. Yahoo Merchant Solutions is the complete package of E-commerce solutions by yahoo. Quintet helps you when your store needs extra features that is not included along with Yahoo merchant solutions. We can also help to customize your storefront design which is very important in user engagement. At Quintet we have a wide range of expertise in working with wordpress and WooCommerce. WooCommerce is free fully equipped ECommerce plugin for wordpress. This wordpress plugin is featured with full online store handling options including Inventory Management, Payments, Shipping, Reporting etc. Opencart is a full fledged ready to use shopping cart solution. At Quintet we can create feature rich, easy to use, search engine friendly and visually appealing interfaces for opencart which supports multiple payment gateways and various shipping method integration options. CS-Cart helps you to build ecommerce websites ranging from small to big online stores and convert them into an enjoyable virtual shopping experience. At Quintet, we specialize in integrating CS-Cart features like affiliates program, content management, customer registration, design features etc.